This post is brought to you by Carrier SlimPac Klarwind and XPower 2 air conditioners. 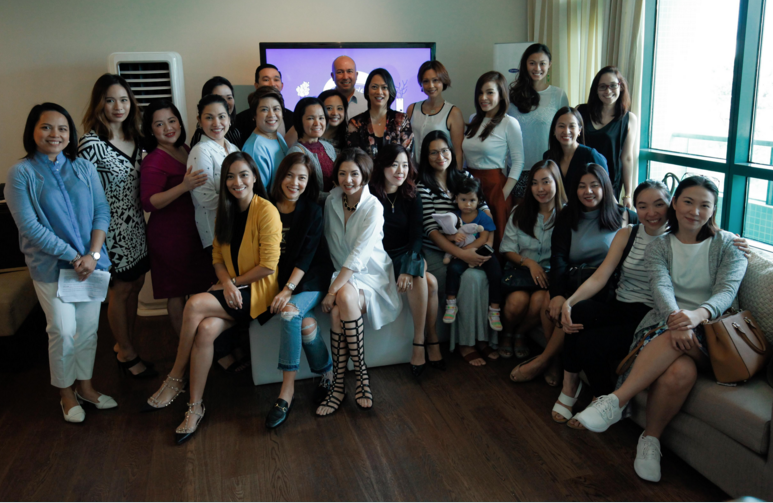 I was invited to a lunch Carrier Philippines hosted for mom bloggers. 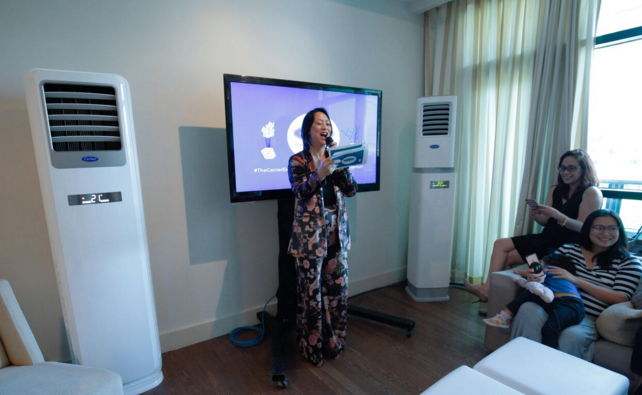 It was nice and intimate, held at the cozy Aruga Hotel at Rockwell Center Makati. 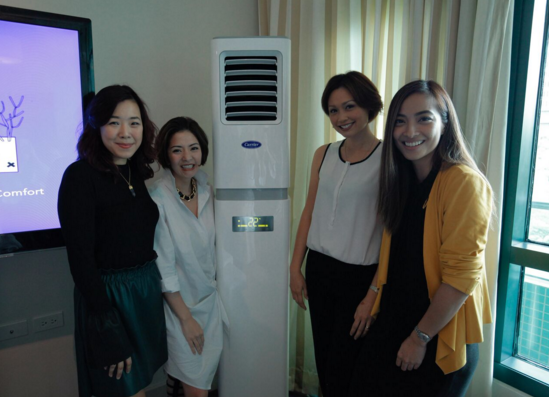 We were there to know more about the new SlimPac floor-mounted air conditioners Carrier just launched. Jenni Epperson, a lifestyle blogger and author, hosted the event and here she is flanked by the XPower 2 (left) and the Klarwind (right), which was right beside me. I got cold! 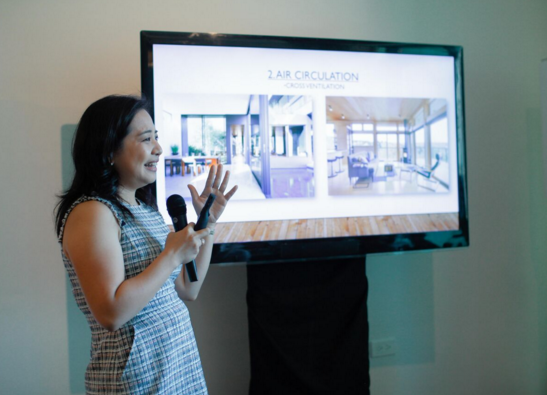 We were also treated to some home decor tips from interior designer Irene Dee. We also found out how to have a more blissful home and intentional life from psychologist and author Michelle Alignay. Well, I learned something else that day and it's about mom bloggers. Yep! 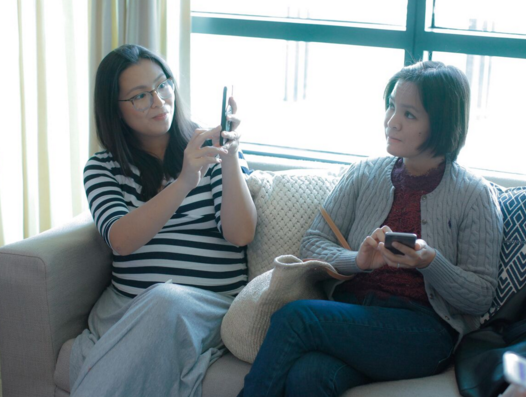 Here's what I learned about mom bloggers: We ask a LOT of questions! We asked anything and everything from how the units work, how they've been improved, how they're installed, how are they safe, what colors do they come in, how much they cost, and more! Carrier was so surprised at all the probing and detailed questions that they had to answer of course, so we all went waaaay past the allotted time for the program and ended up having lunch at 1pm. 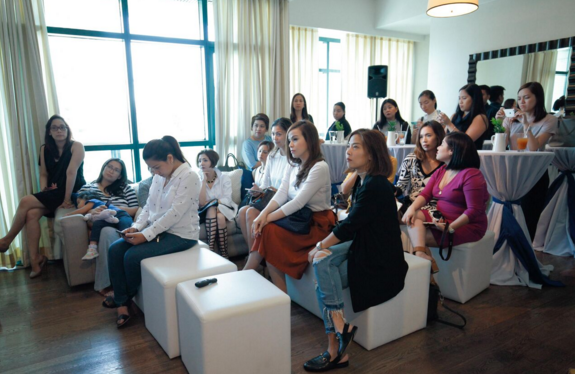 So dear brands who are going to invite mom bloggers for a presscon: Get ready for all our questions! 1. Is it good for our family? 2. Is it safe for our kids? 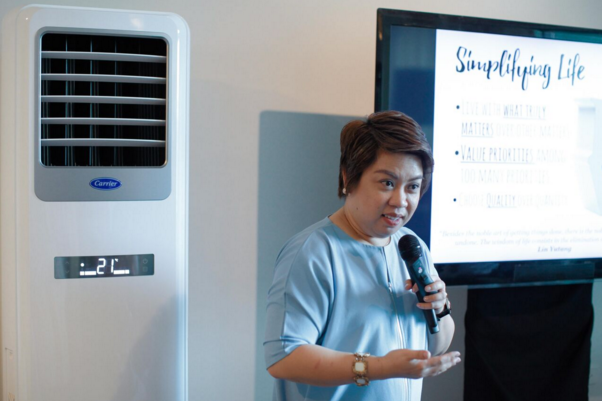 For me, Carrier's new Klarwind and XPower 2 floor-mounted air conditioners meet all three. 1. Is it good for my family? Yes! Because I live in a high rise along EDSA, I have our A/C on all the time. I can't open our large windows for two reasons: the pollution and my small malikot kids. I can't have the smoggy air coming in and I can't have my kids falling out! The new Carrier SlimPac floor-mounted A/Cs are not only sleek and stylish and would look good in any home, they are also energy efficient. The 3-step filter system also cleans the air my family breathes. Dust, lint, spores, bacteria, and fungi are all filtered out and away from my family's lungs. That's good news because everyone in my family has an allergy of some sort! I'm especially enamored with the Klarwind unit because it swivels. The 270° swivel head means it distributes the cool air faster and more efficiently. 2. Is it safe for my kids? Yes! Aside from that amazing filter system, the new Carrier SlimPac floor-mounted A/Cs won't tip over and crush little kiddies. They are installed not just to the floor but also to the wall. I can be assured that my kids will be safe even with these silent cooling systems in the room. Plus, they are practically invisible. They're designed to blend into the decor so kids will quickly forget they're there. Well, the new Carrier SlimPac floor-mounted A/Cs sure aren't cheap. At SRPs of 120K++ and 80K++ for the XPower 2 and Klarwind respectively, I'll have to scrape the credit card mighty hard to buy a unit! But because of its low electricity consumption even though it's so powerfully cooling, because it's so energy efficient, and because of the filter system, I'll be able to save on electricity and allergy medications! The benefits on my wallet is over the long-term and the good things it can do to my family's health makes the Carrier SlimPac floor-mounted A/Cs a great investment! While I wish this was a review post, I'm not in the market for A/Cs yet as I'm still happy with my energy-efficient and powerful Carrier wall-mounted units. Yes, I'm really a Carrier mommy! But when I'm ready to buy, I'm definitely looking at the Klarwind! Carrier ambassador Jenni Ep obviously loves the XPower 2. Jane Cheng, Cat Antonio, Marilen Montenegro, and Jackie Go with the Klarwind. If you'd like to know more about the Carrier SlimPac XPower 2 and Klarwind units, visit www.carrier.com.ph. These floor-mounted air conditioners are now available in major appliance stores nationwide. I used to work at Carrier (surprise, surprise). Hahaha! Our A/Cs are still Carrier until this very day.